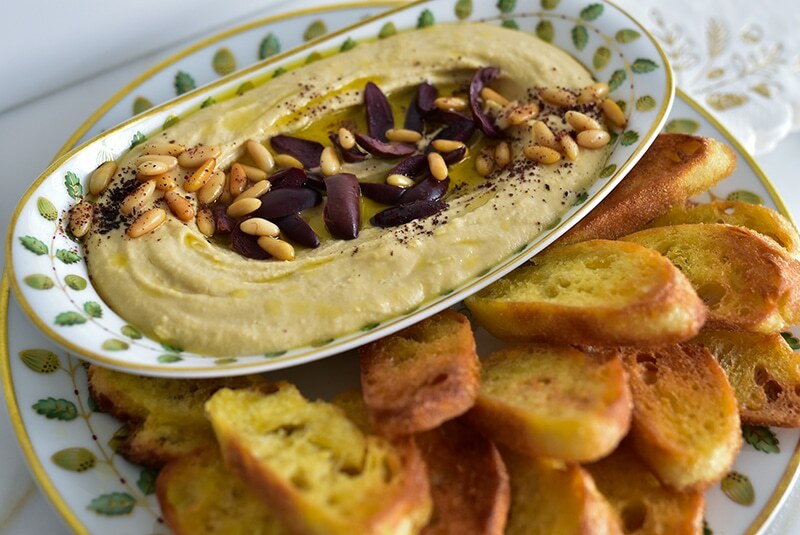 Hummus with olives, pine nuts, and crostini make for a beautiful, holiday-worthy appetizer. Healthy and luscious and lovely, all in one! 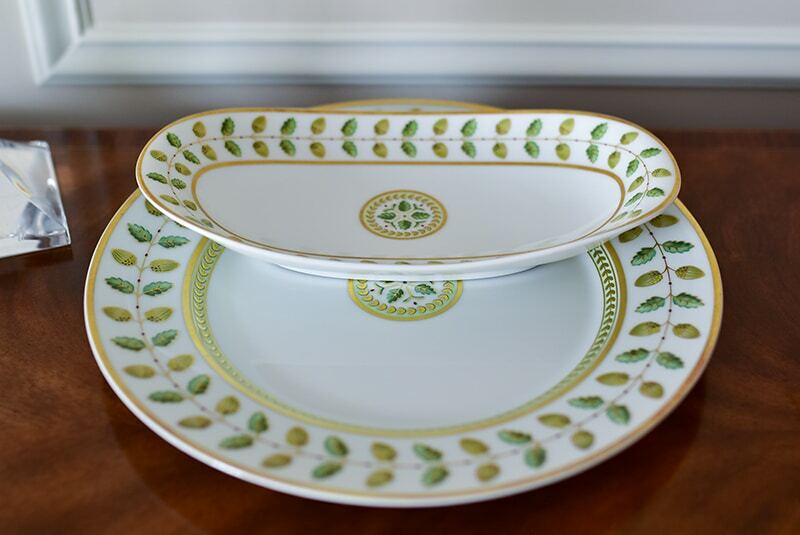 Get out the good china! Hummus is rightly an everyday or at least an every-week food. And sometimes the everyday gets (rightly) set aside for the special times, the feasts, the celebrations. 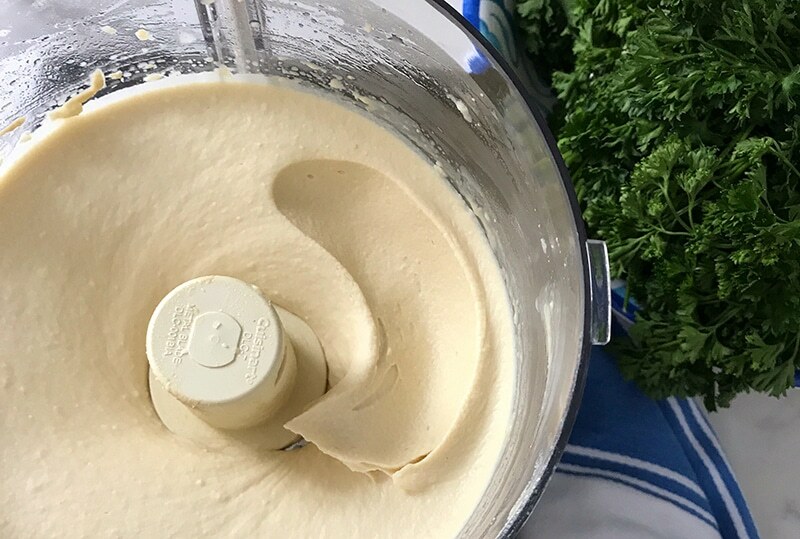 But smooth hummus—the luscious-yet-healthy puree of peeled chickpeas, tahini, lemon and garlic—this is a dish that so easily keeps one foot in each camp, the everyday and the holiday. 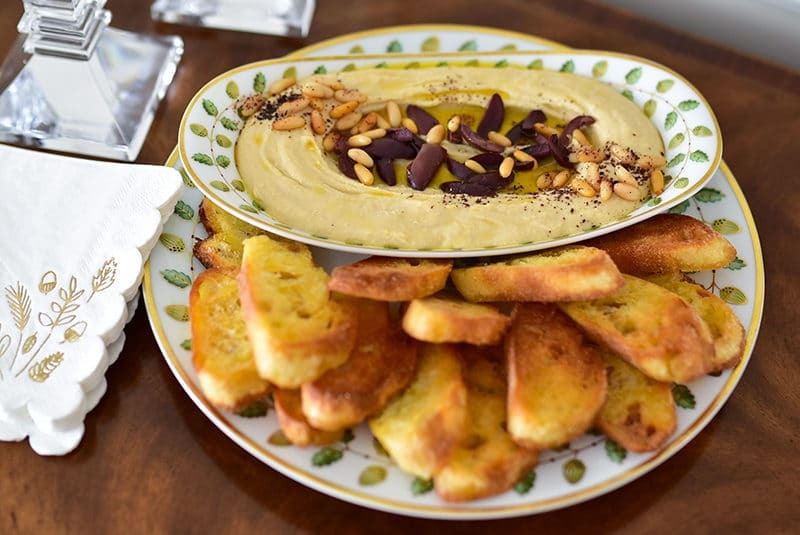 The attributes of smooth hummus that make it our frequent go-to also apply for the fete. A little healthy legume protein doesn’t hurt even when we’re feasting, does it? But then that lush texture, that rich garlicky overture, that deep well filled with salty or spicy or other mouthwatering morsels. And of course, the heavy pour of good olive oil to finish. For the holidays, I like to dress the hummus up with something unexpected. I spread the hummus in a dish from the good china. I top off with something umami-strong, like chopped olives and pine nuts, then dust with classic sumac, or with za’atar or cayenne or sesame seeds. Then, alongside, there is no richer, more celebratory foundation for the hummus (and other dips and cheese) than beautiful crostini, made stovetop in hot olive oil until golden and crisp. Is this fried bread? I do believe that it is, and that’s just fine by me when we’re throwing down so much happy gratitude with all of our best people, and the good china, gathered around. Seems like I'm toasting everything these days in a saute pan with olive oil rather than in the toaster or under the broiler. I love the control I have over the toast, and the olive oil in the pan is so much easier than brushing oil on each toast, both sides. The hummus can be made ahead; refrigerate, covered. Bring to room temperature (covered), then whisk with a touch of lemon juice or water before serving. For the hummus, in the bowl of the food processor, puree the chickpeas and garlic clove. Stop and scrape down the bowl as you go, processing for several minutes until everything is completely smooth. This mixture may be very thick and ball up in the processor, depending how much liquid may be left in the cooked chickpeas. Add the tahini, lemon juice, and a pinch of salt. Process, taste, and add more salt or lemon juice to adjust texture and taste as needed. 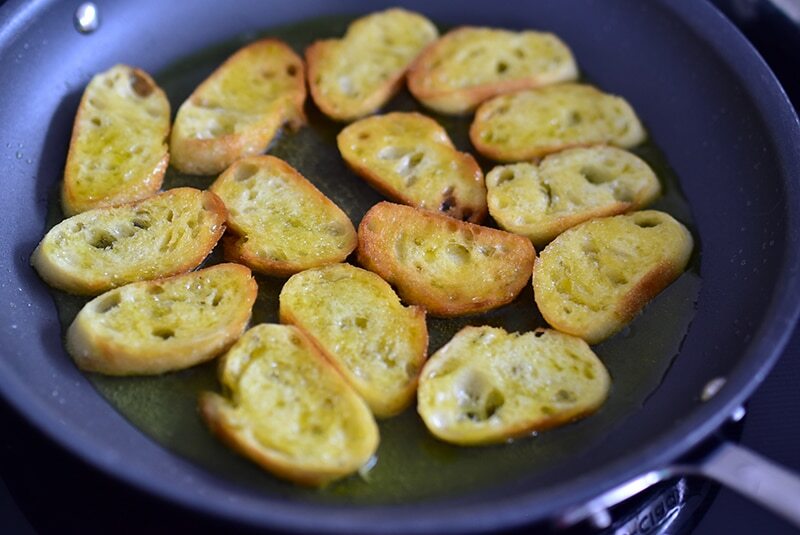 For the crostini, heat the olive oil in a large non-stick skillet over medium high heat until hot but not smoking. Add the crostini and cook until golden brown, adjusting the heat as needed. Turn the crostini over with tongs and brown the other side, then remove to a paper towel-lined plate and sprinkle with sea salt. Spoon the hummus onto a serving plate or bowl, making a well in the center with the back of a spoon. Decorate the top with the olives and pine nuts, then drizzle with olive oil. Finish a pinch of sumac, za'atar or sesame seeds. Serve immediately.